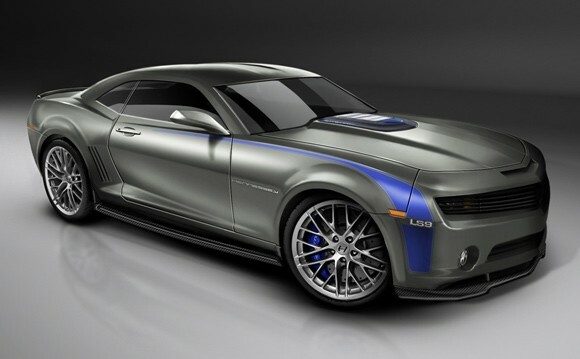 SEALY, TX â€“ Hennessey Performance Engineering (HPE), well known for their extreme performance sports cars and muscle cars, announces their Limited Edition 2010 HPE700 Camaro. In addition to the power and handling upgrades., Hennessey will also be offering an exterior aerodynamics package to improve downforce at high speed. Penned by British designer, Steve Everitt, Hennessey's Cam-Aero â„¢ body upgrades include: Carbon fiber rear lip spoiler, carbon fiber side rocker panels, carbon fiber front splitter, front fascia with hideaway-look headlights and front billet grille. Completing the look of the HPE700 is a ZR1 inspired hood design with window showing off the Hennessey's tweaked LS9 powerplant. HPE700 buyers will also receive a 1-day performance driving course at Lonestar Motorsports Park â€“ a Â¼ mile dragstrip facility located adjacent to Hennessey's 24,000 square foot production facility and showroom.